This year Wanstead WI will support Leytonstone Children's Centre, based in the Harrow Green Library building, on Cathall Road, for this year. The centre supports families local to it, and in particular women. Although not a registered charity, it is funded by the local authority and voluntary donations. It was originally a Sure Start nursery but its remit has expanded to include a food bank and other services important in area of significant social deprivation. People who use the Centre are referred to it by their GP, social services or a charity, and are given three days worth of food and essentials to tide them over in an emergency. The service also has a regular fruit and vegetable service, administered through a voucher scheme, funded by Waltham Forest's Social Fund in a bid to promote healthy eating. The centre also provides advice on housing, counselling and help with job applications. Maternity services and ante-natal classes are available too. Leytonstone Children's Center would be delighted to welcome volunteers at the Stay and Play sessions. 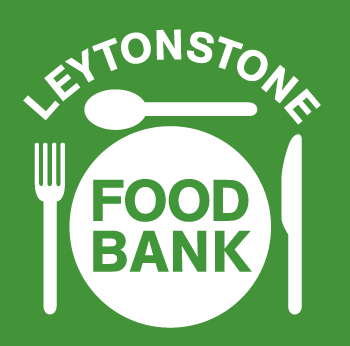 These run at Leytonstone Library from 10.00-12.00 and 13.00-15.00, at Langthorne Park from 13.00-15.00, and Harrow Green Library in Cathall Road are from 10.00-12.00 and 14.00-16.00, five days a week. So, if you would like to help set up the sessions, get mucky with playdough and wash out the paintpots you will be most welcome...and have a lot of fun too! Call Anna (who visited us a few months ago) on 020 8496 2960 or email her Anna.rinaldi@leytonstonechildrenscentre.org.uk. What to bring along for the food bank collection at the montly meeting? You're encourage to just bring a few items each time. The list may change a bit over the year. The idea of the food bank is to give a supply of food to get a family through a few days. All food needs to be long life, either tinned or dried, so it can be stored before being given to someone in need (it's mainly families). Donations of nappies and toiletries, eg shampoo, shower gel also good. Not all of the Centre's clients have access to cooking facilities so things that can be either eaten from a can or by just adding hot water are really useful. Also ring pull type cans are a good idea. At present the Food Bank has a stack of baked beans so not those at present please.